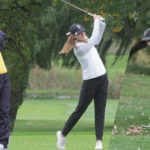 The Gustavus women's golf team was back in action as Bethel hosted the 2019 Royal Match at Deer Run Golf Club on Friday. After day one of competition the Gusties are in fourth place of eight teams with a score of 322. The leaders, St. Catherine and Saint Benedict, currently both sit at 316. 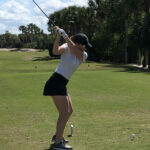 The Gustavus women's golf team competed in the first day of the Kathy Niepagen Spring Fling and currently sit in 10th place of 17 teams with a 318 (+30). St. Kate's is currently leading the event with a 304 (+16). The Gustavus women's golf team finished up play at the WashU Invite on Sunday. 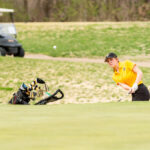 The Gusties, who scored 322 on day one, scored a 324 on day two to take on home ninth place honors. Carleton won the event with a 598. The No. 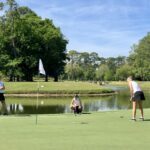 21 Gustavus women's golf team got its Spring season started Sunday in Ponta Verde Beach, Fla. taking on No. 3 Grinnell. The Gustavus women's golf team improved on their day one score by eight strokes and managed to nudge their way into third place in the process. The Gustavus women's golf team competed in the first day of the MIAC Championships in Becker, Minn. and finished the day in fourth place. The Women's Golf Coaches Association (WGCA) announced its top 25 teams with the highest team GPA for each NCAA division and Gustavus comes in at No. 25 in Division III with a 3.415 GPA. Ithaca College won the WGCA All-Scholar Team GPA Award with a 3.801 GPA. The Gusties and St. Catherine (No. 12) are the only two MIAC institutions to make the top 25. 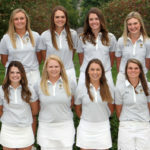 The Women’s Golf Coaches Association (WGCA) All-American Scholars were announced today and three Gustavus women’s golfers are recognized with the honor – Kristen Cash (So., Roseville, Minn.), McKenzie Swenson (Sr., Buffalo, Minn.), and Jessica Nelson (Sr., Plymouth, Minn.). The criteria for selection to the All-American Scholar Team are some of the most stringent in all of college athletics with a minimum cumulative GPA of 3.50. 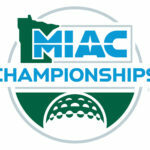 The Minnesota Intercollegiate Athletic Conference announced its women’s golf postseason awards Wednesday and Gustavus senior McKenzie Swenson (Buffalo, Minn.) was named to the All-Conference Team.